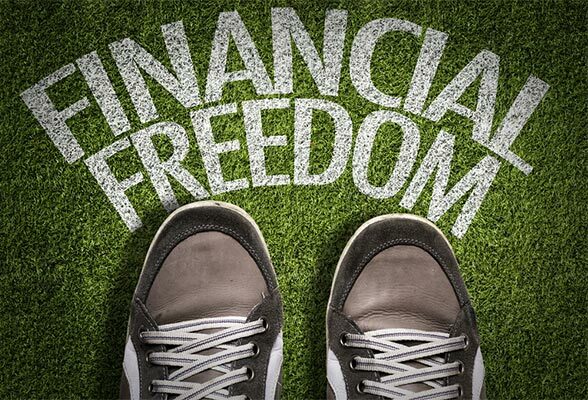 But it’s not all bleak: there are various ways to reduce student loan payments and gain the financial freedom to get started with the life you want to live – debt free. Depending on your situation, what kind of loans you have and your personal financial circumstances, you might be eligible for a different repayment plan or to get some of your debt forgiven. Bankruptcy is not the only choice – read on to understand the available options that can help you manage those burdensome payments. If you still need additional information, try our reviews of the best student loan consolidation providers. Consolidating your student loans means combining some, if not all of your loans into one loan, with one monthly payment. Typically, people consolidate their loans to simplify monthly payments or get new repayment terms, but loan consolidation doesn’t work for everyone. Whether or not you’ll benefit from consolidating depends on factors like what type of loans you have, interest rates and when you took them out. The most important thing to remember is that consolidating your loans is not generally a money-saving option as interest rates won’t go down. If your monthly payment does decrease, it’s likely the result of lengthening the term, which can mean paying more interest over a longer period. When a private lender consolidates your student loans, what they are actually doing is refinancing your loans. You would work with a lender to consolidate your federal and private student loans - even previously consolidated loans can become part of the equation. If you have good credit and record of employment, the possibility of lowering your interest rate and gaining substantial savings through refinancing is greatly improved. Through the refinancing process, you apply for a new loan which you can then use to pay off your existing loans and you’re given a new (ideally lower) interest rate. Though credit is always a factor, many online lenders incorporate education and job trajectory into their qualification process, so recent graduates with a bright future ahead can receive much better rates than a traditional lender would be able to provide. Many lenders offer terms of up to 20 years, so you can find a low monthly payment that fits your lifestyle. With lower rates, customers can save thousands, or even tens of thousands of dollars from their total outstanding student loan payments. 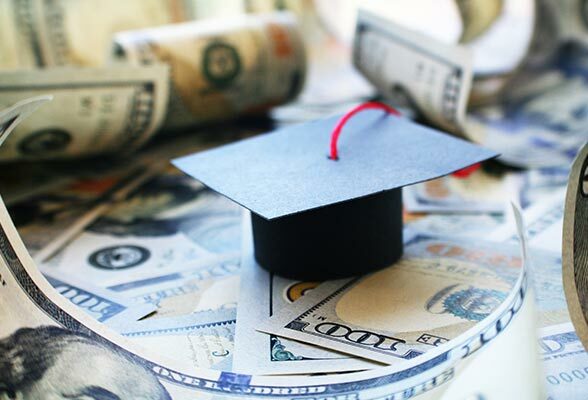 While student loan consolidation and refinancing may sound like a quick way to pay off your massive debt, it does have its advantages and disadvantages. Lumping all loans into one will definitely simplify your finances - instead of paying multiple student loan bills each month, you’ll make one payment to one financial institute. But this comes with a slight catch. You will likely end up paying more in interest because consolidating loans often includes an extension of your repayment terms. In addition, any progress you have made though the Public Service Loan Forgiveness program will be erased. If you’re asking yourself if you should settle your student loan debt, you’ve probably run into some financial trouble. Student loan settlement is typically a last resort option for those who are struggling with monthly payments and are on the brink of bankruptcy. While it is an option, you need certain qualifications in order to opt for this solution. You can only qualify for this debt solution when you are in a real financial crisis, and/or if your ability to pay the loan is not improving and doesn’t look like it will improve in the foreseeable future. A debt settlement company will negotiate on your behalf. Usually, you will need at least 50% or more of the money you owe (including penalties and fees) before a lender will consider settling. To work with a debt settlement company, they will help you open a new savings account and have you deposit an affordable monthly payment instead of paying off your creditor. Once you build up your savings, a professional negotiator will use that account as leverage to negotiate with your creditor on your behalf. This process generally takes two to four years to complete. During that time, your credit will be affected from not paying your creditor, but you typically will not have to pay fees to a debt settlement company until your debt is settled. Before you make any hasty decisions, take a moment and reflect on your situation. First, what type of student loan do you have – federal and private? Federal student loans will not settle for less than the principal of your loan. Because the loan is guaranteed, the bank has no incentive and the government has no interest in settling. Keep in mind that if you default on your federal loan, the government can - and will - seize your income tax returns and garnish your wages – all without a court order. If you have a private student loan, your settlement options depend on the terms of your loan and how flexible your lender is to work with. At the end of the day, it is up to the lender to decide whether to settle with you. One of the most important takeaways from this article is that if you are fortunate enough to succeed in getting a settlement, get the settlement offer in writing and have your attorney review and keep the documentation. You will want to keep a paper trail if there is a mix up along the way and you need to prove your settlement in the future. While college and university costs continue to rise and family incomes remain the same, student loans have become - and will continue to be - an all-too-familiar burden for those looking to pursue post-secondary education. If you do find yourself in a situation where you need to decide if consolidation, refinancing or settlement is the best option for you, the first step is to educate yourself. It is extremely important that you do your homework before choosing an option, to make the best decisions for you and your future. If you are looking to consolidate your private and federal student loans, have good credit and are looking for a lower interest rate, student loan refinancing may be an option. If you find yourself not being able to meet your monthly payments and default on your loan, your best option is to try and reach a settlement. While it will hurt your credit and you will be taxed on the forgiven debt, being debt-free will be worth the short-term pain. Choosing the right student loan relief option can set you up to save a mountain of money - and help you get on your way to living your debt free life. For tips on how to create a debt repayment plan, check out this helpful step-by-step guide to lower your student loan payments.